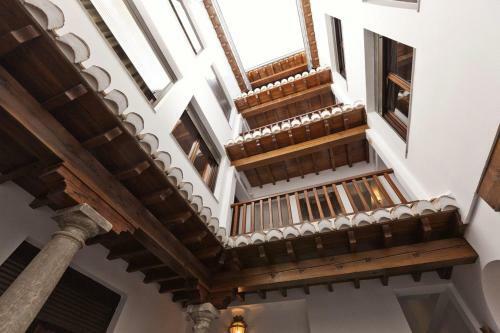 The Al-Andalus Apartments are set in restored historic buildings in central Granada, around 250 metres from the Cathedral. Fully heated and air conditioned, all have free Wi-Fi. This hotel is 1666 metres from the Alhambra entrance, 681 metres from Plaza Nueva (the absolute centre of Granada), 1385 metres from the train station and 3018 metres from the bus station.